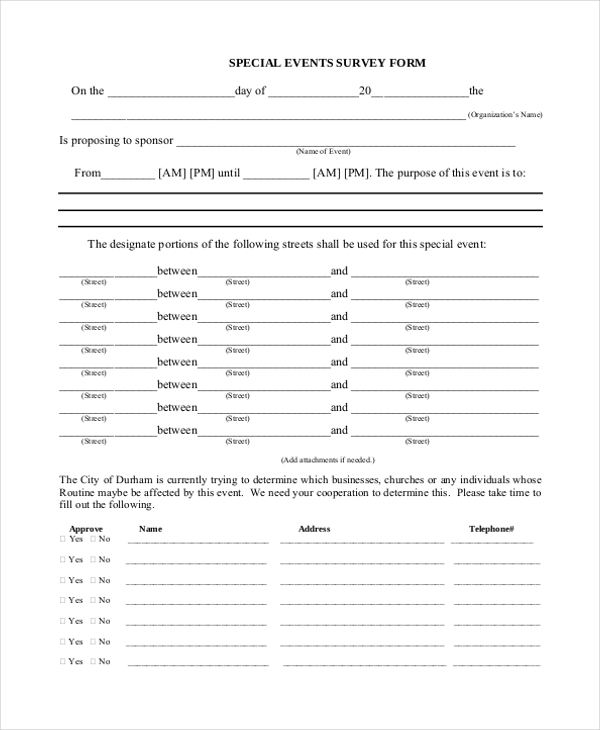 This form is generally used by an event management company to plan an event. The responsible authority uses the form to designate positions for various stalls and objects. As is indicative from the name, this form is used by an event management firm to survey what their clients’ think of the whole event. The result can give them an idea about the improvements they need to make in their services. Usually, when an event is organized to educate the people about something, this form is used to find out how successful the event has been to get the idea across. The participants are required to fill this form with relevant details. 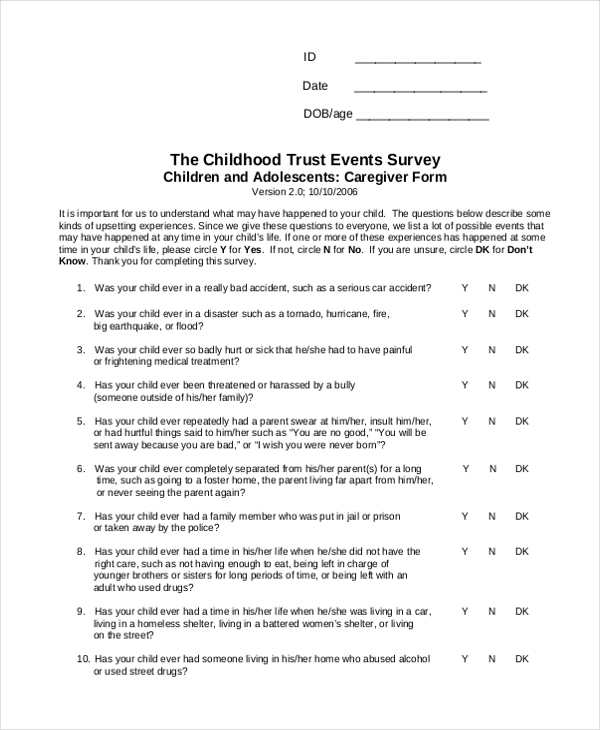 This form is mainly used to conduct a survey of the people who may be attending an event specially designed for childcare givers and parents. Analyzing the forms give the organizers idea about the problems to be addressed. 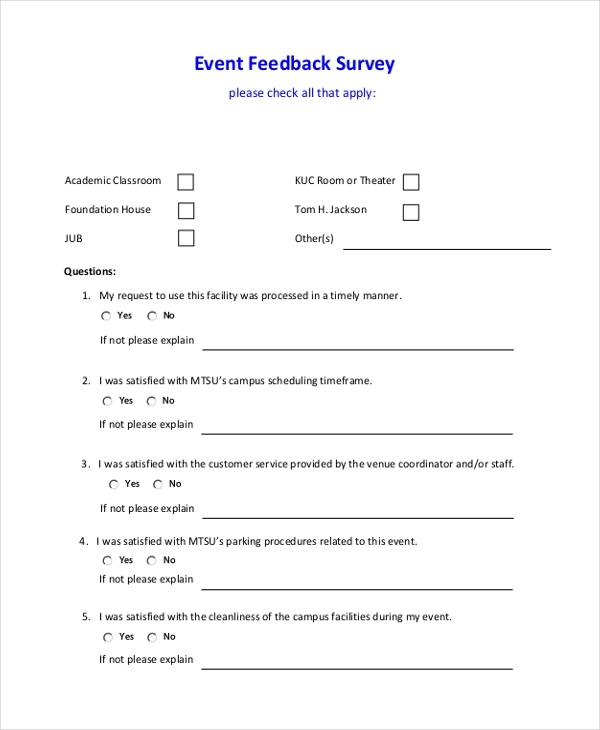 After the completion of an event, the event management company uses this form to get a feedback from the clients and participants about what they thought of the whole event. 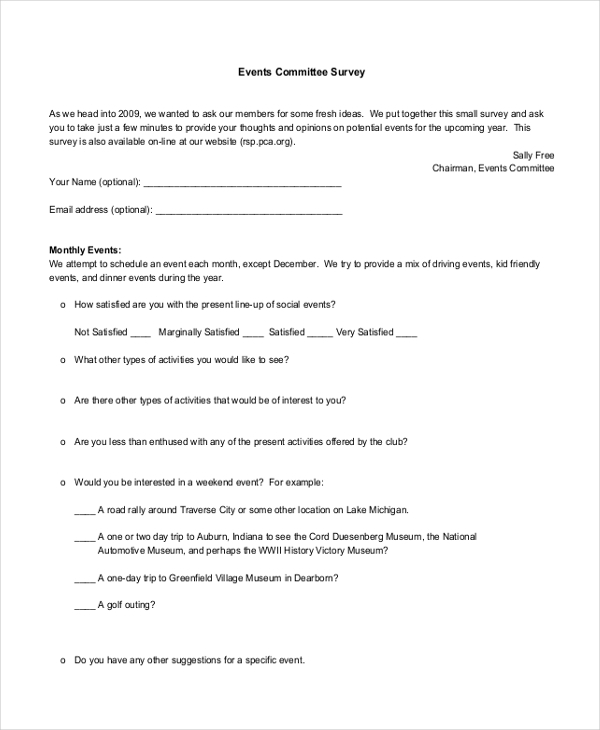 This form is used by the event organizers to find out the experiences of their participants and whether they benefitted from attending the event. This gives the organizer a clear idea about the improvements they need to make. 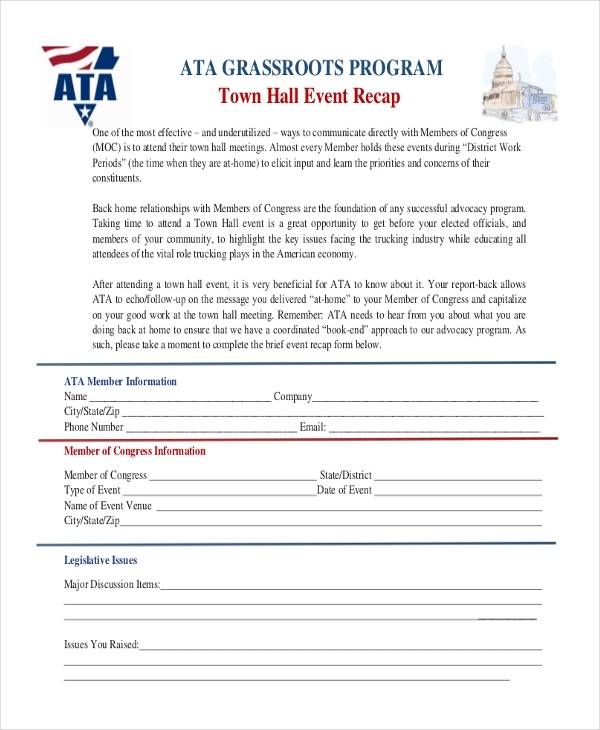 This form is mainly used by a public organization or committee that may have organized an event to address the problems of the people at large. The form allows them to understand if the participants were happy with the event. This is an internal survey form that an event organizing committee passes amongst its members. The members are asked to fill in their details along with new ideas they might have about event organization. Who uses an Event Survey Form? Why should one Use an Event Survey Form? An event survey form directs questions towards the participants and the clients which in turn compels them to share their views with the organizer. The organizers can analyze these answers to come up with ideas that would engage the audience in a better way during the event. Also, the forms give them an idea about what more they can do to improve the experience of their participants and clients. Keeping a record on these forms helps them to improve their events. 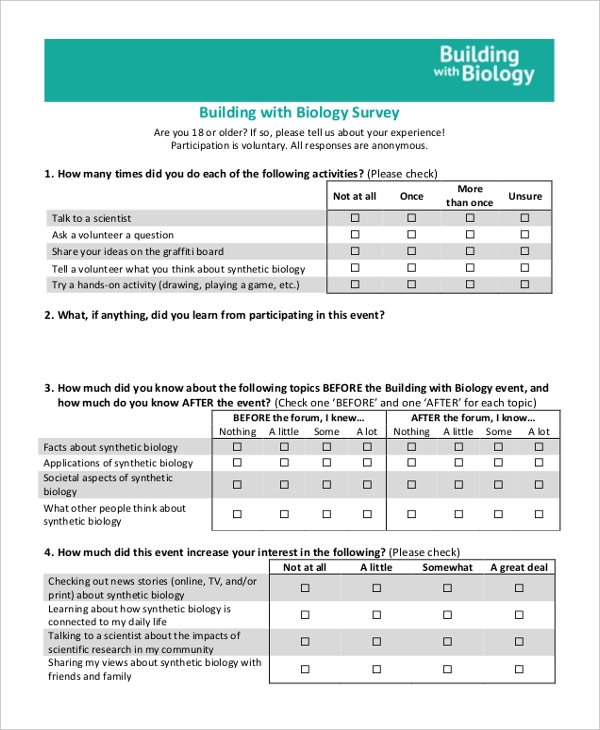 How can you Design an Event Survey Form? Designing an event survey form can be quite confusing, especially if you are thinking of creating different forms for different purposes. In case, you are not sure how to do this but do not want to take expert help, go ahead and look for these online. 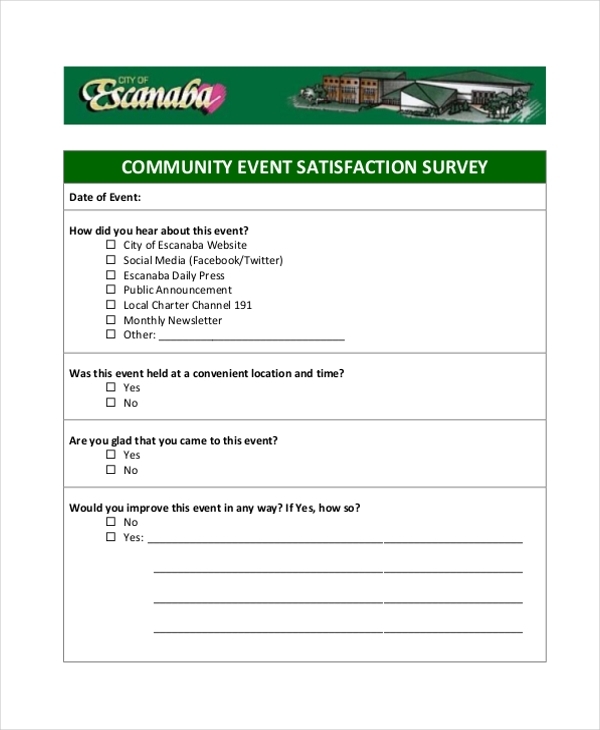 You are sure to find the perfect event survey forms that suit your requirements. You can easily make changes to these forms to personalize them.